If there's one style of preamp that professional engineers would unanimously agree has defined the tone of pop/rock records for decades, it would most definitely be the venerable '73-style of mic pre. '73-style preamps have been massively used in recording and live applications for many years and are still considered to be the "Holy Grail" of preamp choices today. The Warm Audio "WA73 Family" consists of single and dual channel '73-style preamps (with & w/out EQ), that each pay careful homage to British audio history. When Warm Audio decided to release the WA273 it was imperative that it met vintage expectation in both design and performance. The tone and sweet character that vintage '73-style mic preamps impart is so unique and familiar, that they had only the pure desire to release sonically accurate reproductions. After years of R&D, careful reverse-engineering, and countless hours of auditioning, the WA273 has been born! The WA273 is a "Desert Island" boutique preamp, but it can also be classified as a studio and live work-horse. Classic '73-style preamps are known for being versatile tools that work with all kinds of microphones from Condenser, to Dynamic, to Ribbon. The WA273 equally shines on all types of microphones and sources including; vocals, acoustic/electric guitars, bass, drums, percussion, orchestras, keyboards, and even as a tone shaping tool to run partial or complete mixes through. With 80dB of gain and a fully discrete Carnhill Transformer balanced signal path, there's no recording, mixing or engineering task that the WA273 can't handle. 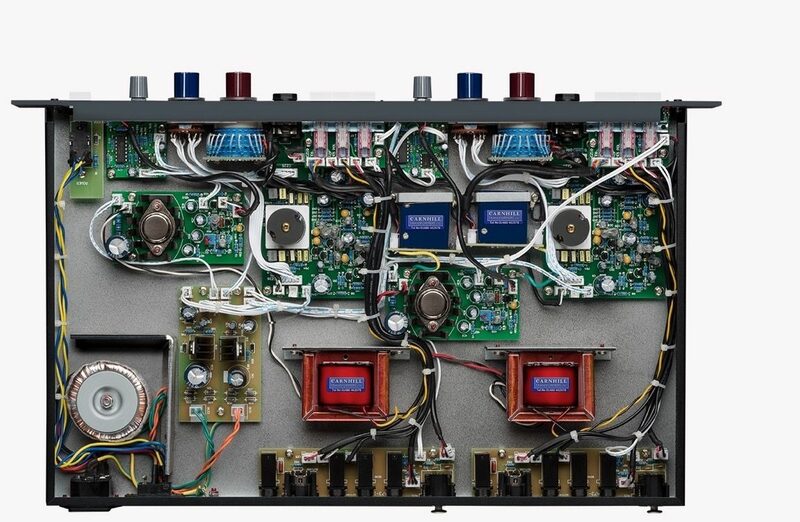 Enthusiasts unequivocally get excited about the components used in classic '73-style British preamps. The signal transformers are a common topic of conversation. Vintage units used various versions of transformers throughout the years, but the most coveted were the earliest versions. These are regarded as the most desirable choice due to their fluid and forgiving nature. They saturate sweetly when pushed, and have been known to make engineers cry when they hear how beautiful their mixes sound through them! Warm Audio worked closely with Carnhill Transformers of Cambridgeshire, UK, to design faithful reproductions of these most coveted, early version transformers. We at Warm Audio have not yet heard a modern day '73-style preamp sound as sweet and musical as does our WA273 with these beautiful custom Transformers. Classic '73-style preamps were often hand-wired and so is the WA273! Guru's claim that a portion of the sought after classic British tone can be attributed to the hand-wired nature of the build. The WA273 is hand-wired and hand assembled, including the pcb components that are all populated by hand. An important part of classic British tone not often discussed are the different styles of capacitors and output transistor used in '73-style circuits. We found it important to maintain integrity to early British designs by using tantalum and polystyrene capacitors in the signal path and an output transistor choice that is much smoother in the high gain settings than what is typically found in modern '73-style preamps. zZounds is an authorized dealer of Warm Audio products.